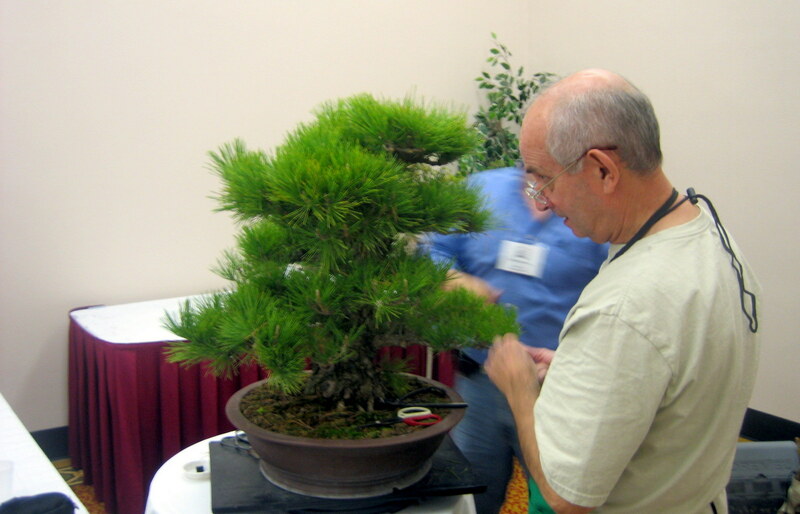 After hearing about the passing of Peter Adams I went back and pulled some photos of the workshop I took with him back in 2009 at the Golden State Bonsai Convention in Southern California. 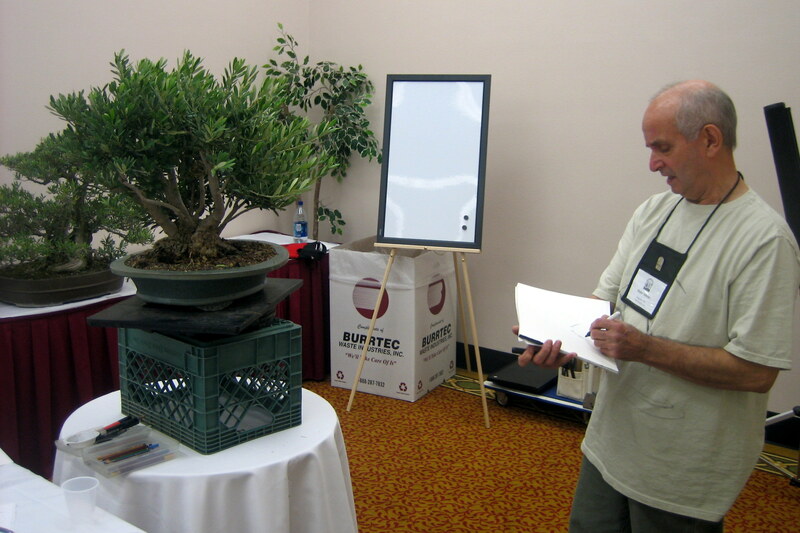 The workshop focused on bonsai design with trees brought in by students. There was some confusion with the description of the class since only a few people brought in trees. 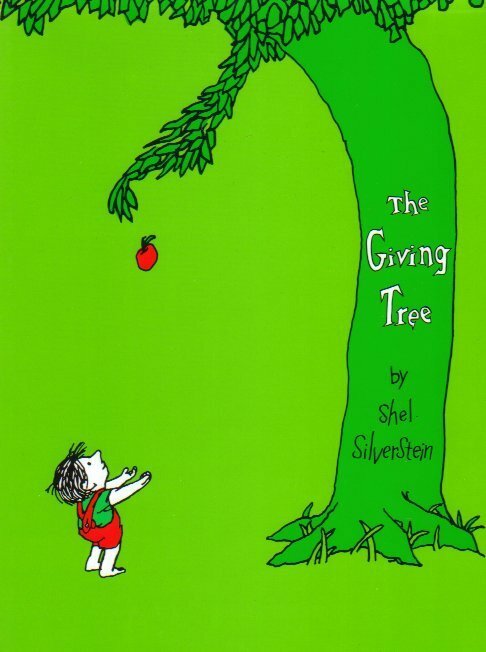 Once it became clear that Peter was going to do an original sketch of your tree, people quickly went to the vendor area and bought something. What immediately struck me about Peter was his artistic ability. Its one thing to see his beautiful sketches in Bonsai Focus but to see him create these amazing drawings in person, and so quickly, was really inspiring. In one instance he was sketching upside down so the class could see what he talking about. 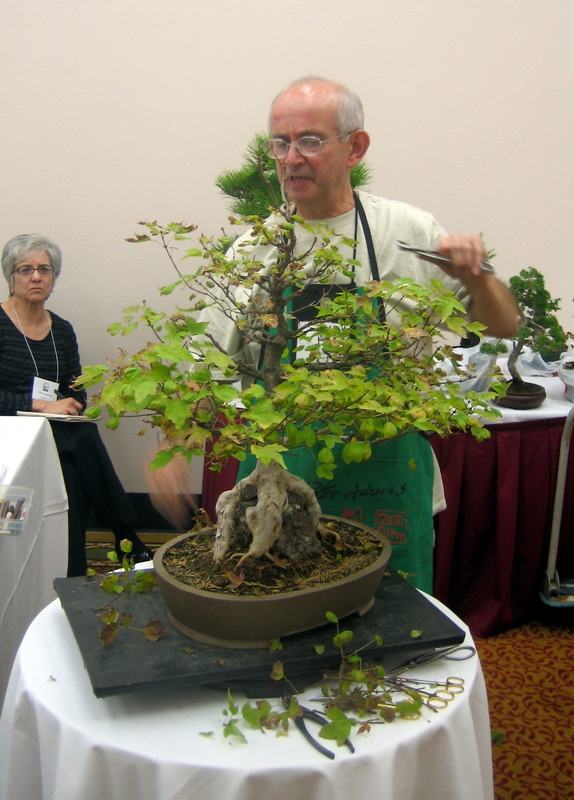 I think the distinguishing factor of a true bonsai artist is represented in someone like Peter Adams. His had the ability to see the true potential within a piece of material and then have the skill to bring those designs to life through his sketches. 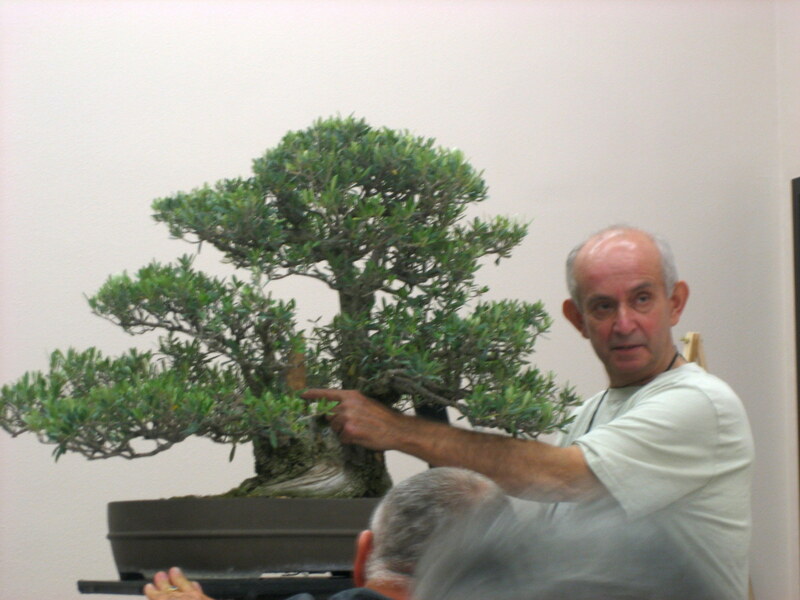 I am very thankful I was able to have spent time with Peter Adams, if ever so briefly, because I am now challenged to look for all the possibilities within a bonsai, just like he did. The National Bonsai Foundation in collaboration with the U.S. National Arboretum have digitized several VHS tapes taken over the years here are the Museum. It only seems fitting to have the first be of John Naka re-potting his world famous “Goshin” here at the Museum in 1995. It was filmed by the late Dr. Bill Orsinger, a dedicated museum volunteer who had the foresight to capture this event on tape. After viewing the Huntington’s Bonsai Collection and viewing stone exhibit, I made my way to the Ikebana House in search of American suiseki history. 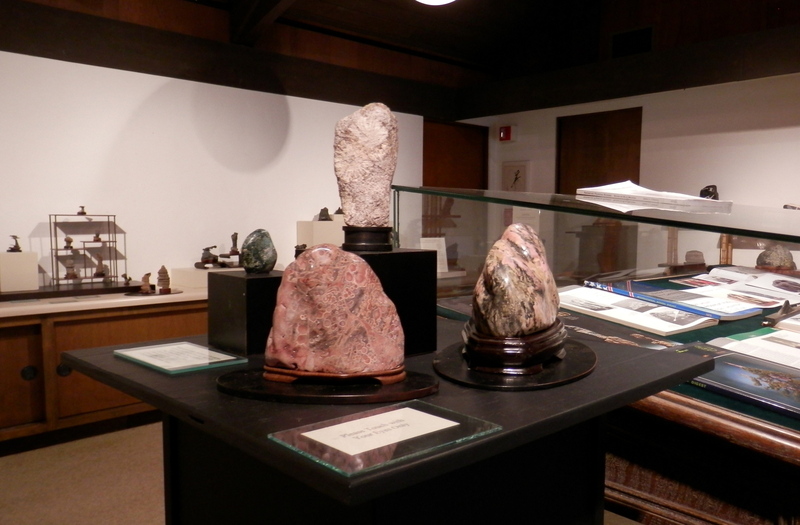 Inside was an exhibit featuring the viewing stones of Bob Watson, former head of the Huntington’s Japanese Garden and American suiseki pioneer. All following text is taken from the various labels within the exhibit which was written and curated by Jim Greaves, founder of the American Viewing Stone Resource Center. 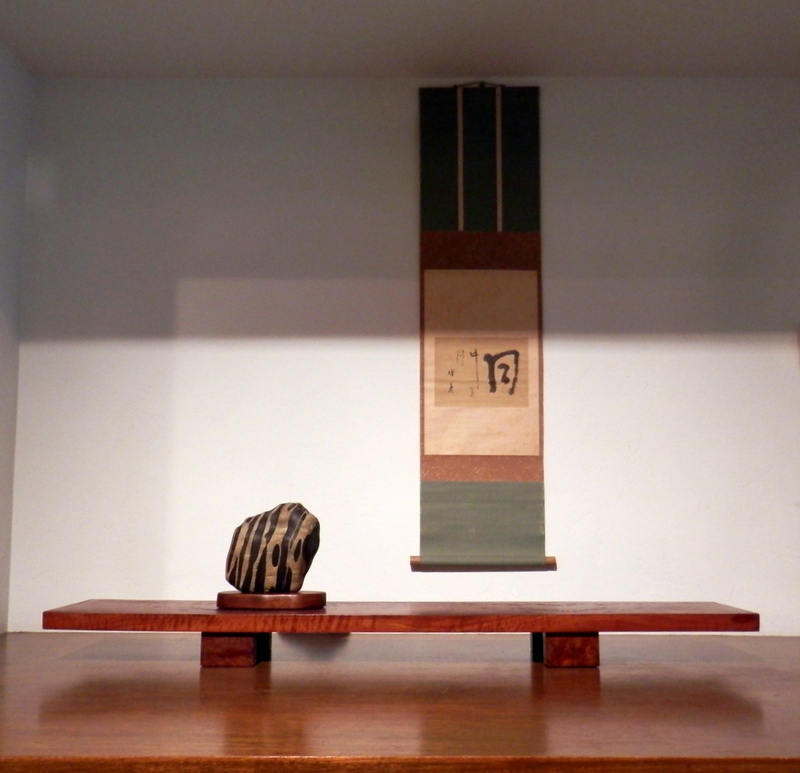 ‘Suiseki’ at the Ikebana House. 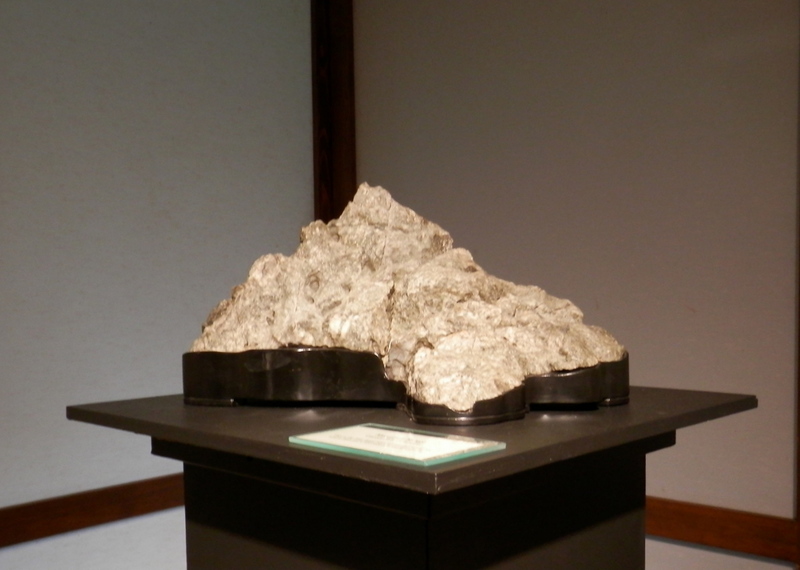 Robert Watson first exhibited ‘suiseki’, a “display of beautiful and unusual stones created solely by nature” in this Ikebana House in November of 1975. The recorded attendance for the week was an astonishing 2538 visitors with 171 recorded as attending his lecture on suiseki. 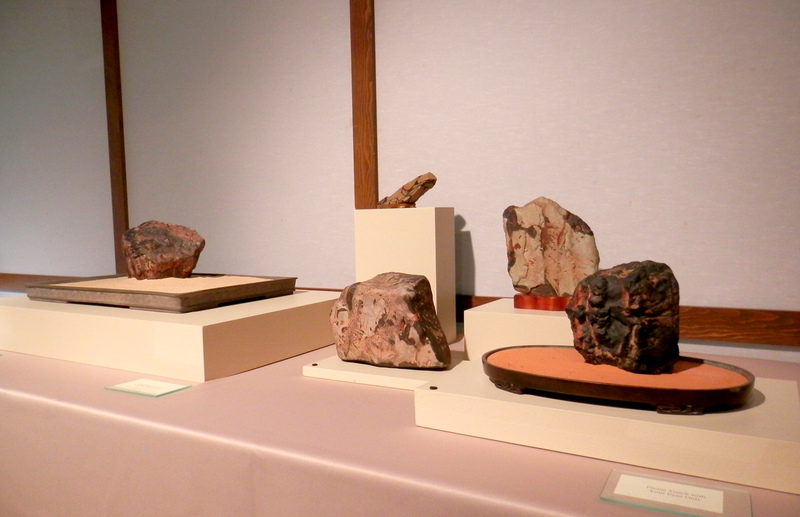 There was a second show in the Ikebana House in 1976 and others through at least 1979 (recorded attendance of 600), but records of the stone exhibits are confusing and incomplete. There are enticing newspaper references to sponsorship by “the San Gabriel Valley Suiseki Club”, including a partial list of participating members. However, of these, only Cliff Johnson remembers exhibiting with Bob and he does not recall any such club. We assume the name was simply coined for one of the exhibits when other friends exhibited a few stones along with Bob. 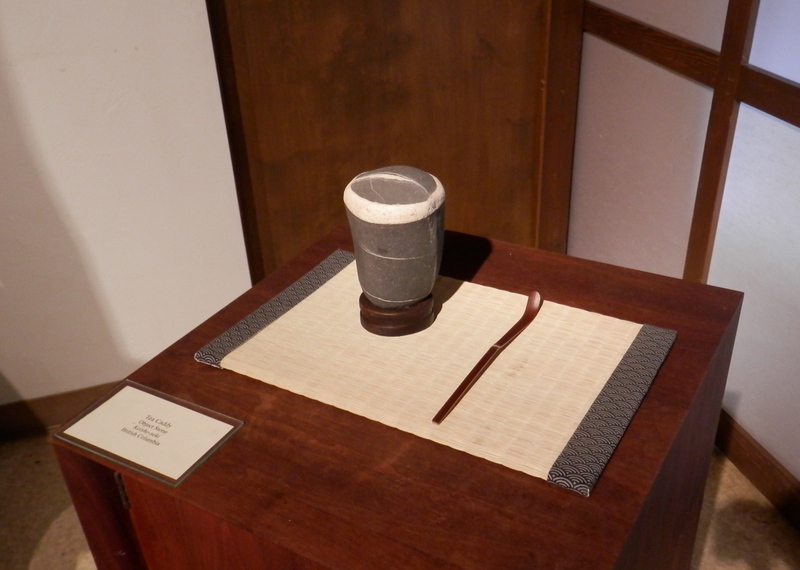 With the exception of a few local newspapers clippings that feature one or two of the stones, no photographs have been found of any of these early exhibits in the Ikebana House. Various accounts note the Tiger Stone, Rain Shelter, Pinnacles, Castle on the Rhine, Glacier, Frozen Wave, and the large Butte (from Palos Verdes). We have labeled these cited stones and marked with a dot those stones for which photographs appeared in local papers. It is very likely that most of the stones you see mounted on daiza (custom fitted wooden bases) were shown in one or more of his exhibits. Bob’s original ‘poetic’ titles are printed in Bold. 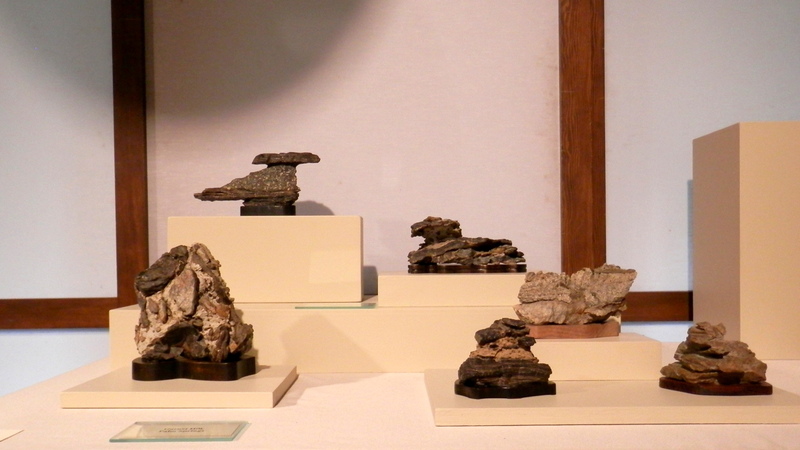 All of these stones were collected by Bob Watson, however, most unmounted stones were probably never formally exhibited. Indeed, several were discovered among boxes and loose stones in his backyard when he held sales later in his life. For historical accuracy in representing his viewpoint, or rather, in not wishing to misrepresent his viewpoint, those stones that were likely never displayed by Bob are indicated with a black dot. 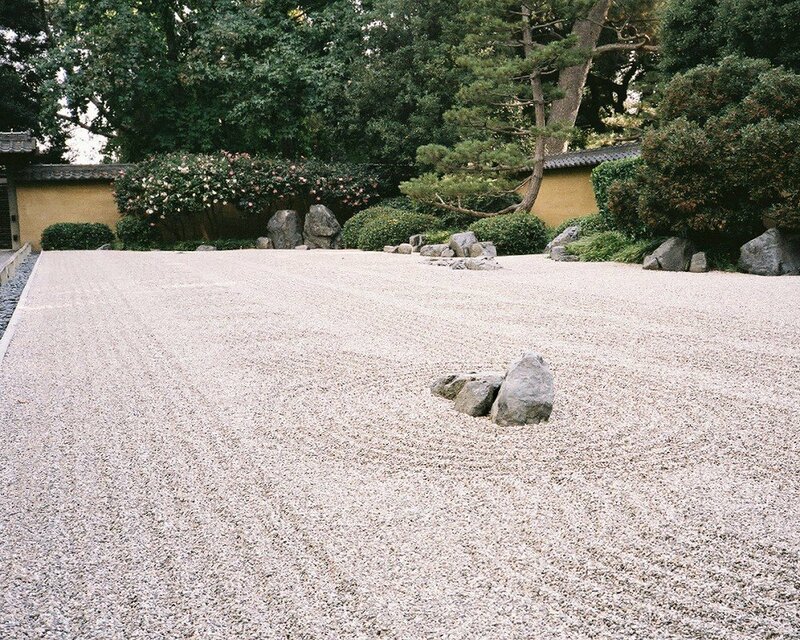 With the exception of those stones displayed out in the bonsai court, the extent to which Bob presented loose stones in suiban is unknown. It appears that he owned very few suiban. 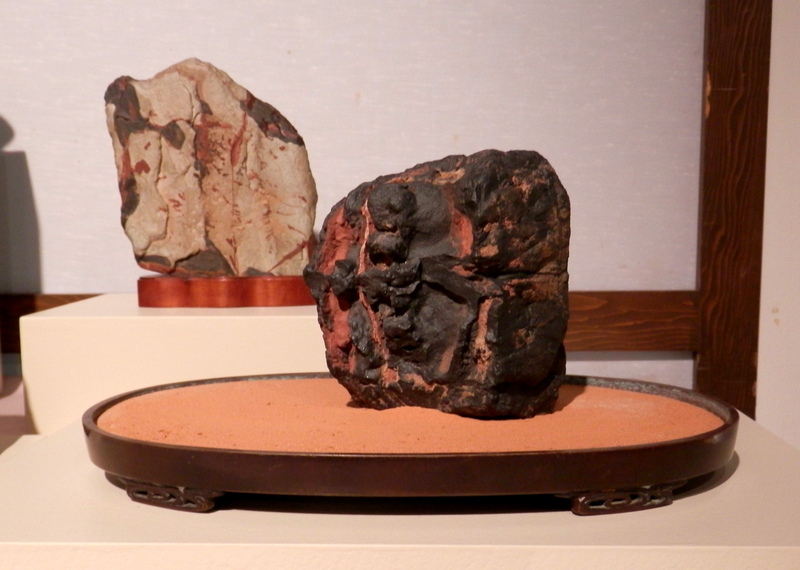 One of the two suiban that we are certain belonged to him is the large, fine gray rectangular suiban from the Tokoname pottery used with an Indian Blanket stone. 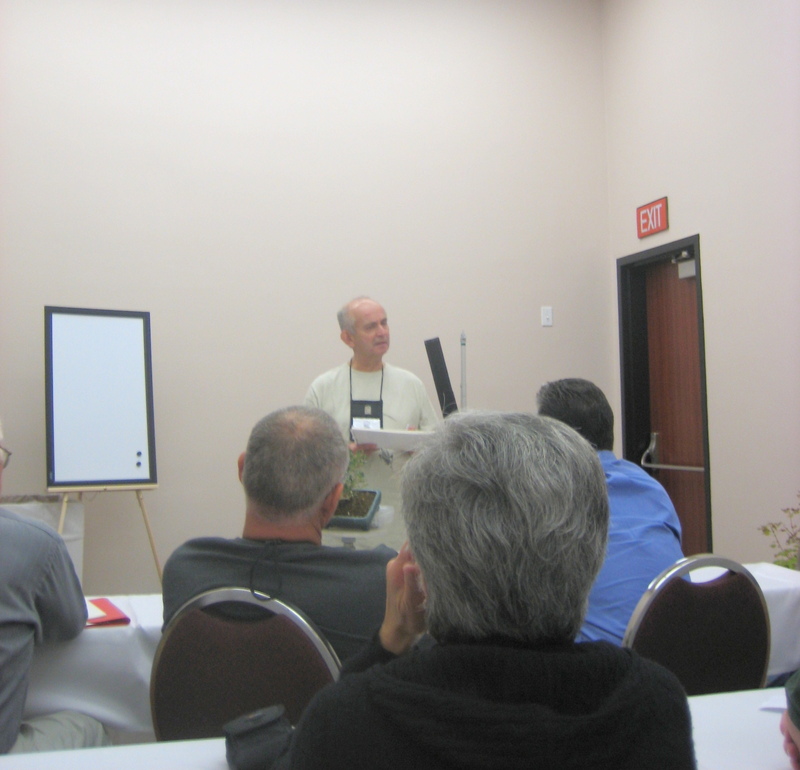 In conversations, Bob emphasized the importance of understanding Japanese practice. He was openly disdainful and dismissive of the ‘new’ collectors. Ironically, the purism he preached was not reflected in his own practice; over time it has become apparent that a great number of his ‘natural’ suiseki were enhanced with heavy surface coatings of oil and varnish and even coloring to a degree that virtually no one would consider acceptable today. The Butte Stone from Palos Verdes is actually a white limestone that he apparently dyed yellow by soaking in a coffee or tea solution. This may not be as strange as if first sounds, because the myriad of Japanese Suiskei magazines and publications of the 60s and 70s were replete with instructions for altering stones ( and to a much greater extent than Bob ever did). Many of these stones have received a single flat cut to assist in positioning and mounting. 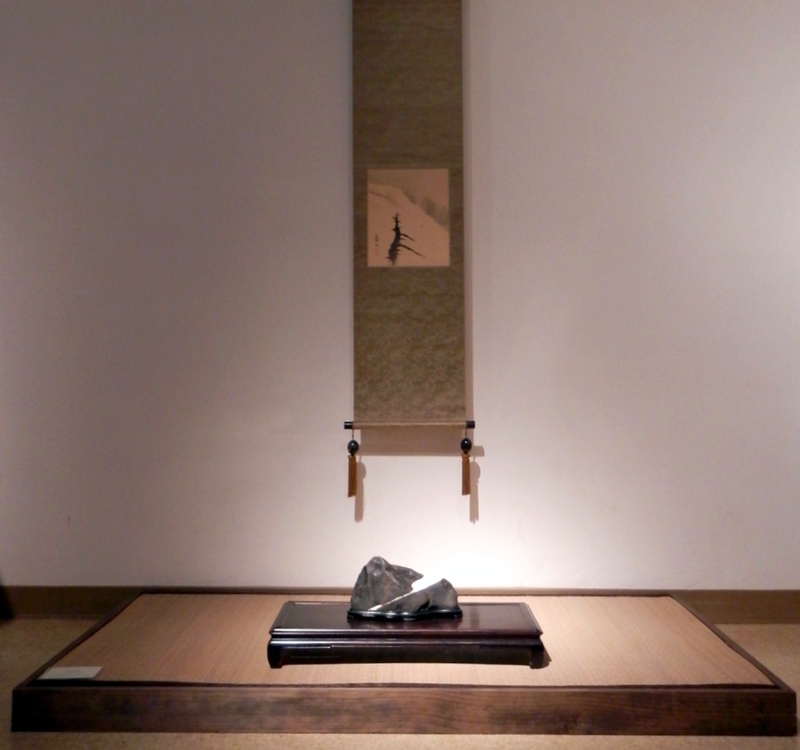 Of the stones he found, only the ‘thread’ stone from Canada has been physically altered and polished to create a biseki (beautiful stone). The small purchased Asian stones have also been worked and polished. 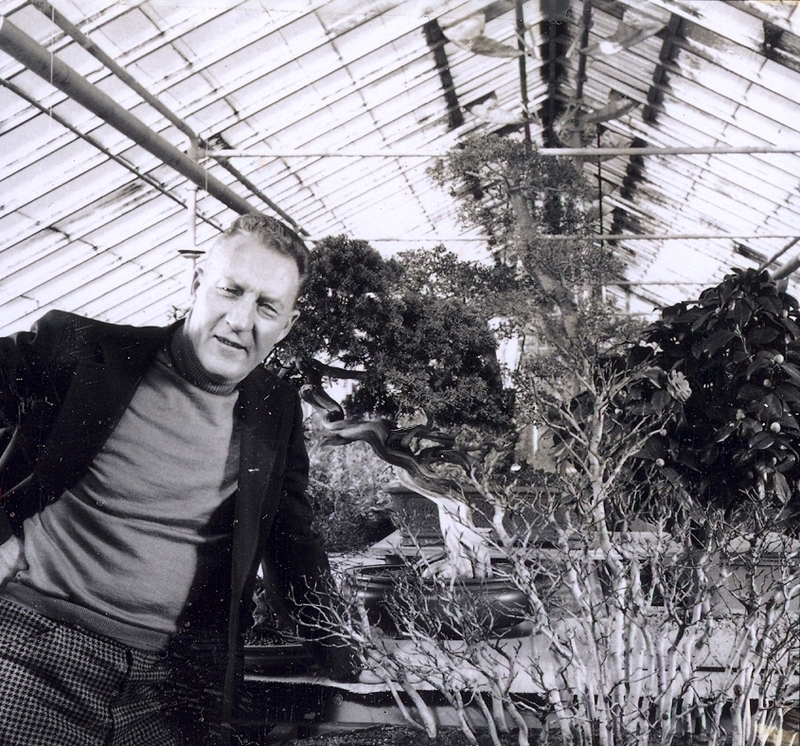 “Robert Watson was the head gardener responsible for the last grand expansion of the Huntington’s Japanese Garden prior to this past year’s renovations and addition of the tea-house.”In 1968 his efforts added the original bonsai court and, most famously the karesansui or dry landscape garden commonly known as the ‘Zen Garden’. 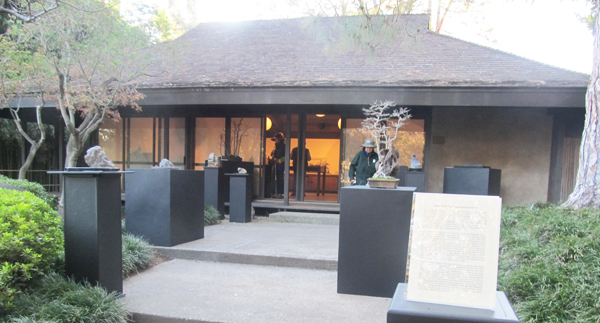 Less known, Bob displayed suiseki in the Japanese Garden at the Huntington and introduced the Japanese art of stone appreciation to non-Japanese Americans. His followers eventually combined forces with members of the Japanese community to create a vibrant suiseki-viewing stone presence in Southern California. 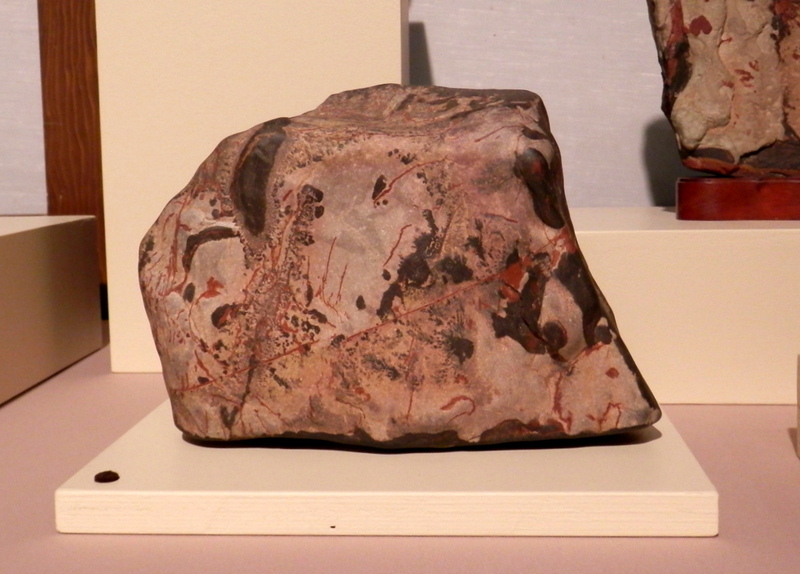 One of Bob’s stones, a rugged mountain stone collected from Garnet Hill, has remained in continuous display for 40 years and may now be seen at the entrance to the this exhibit. 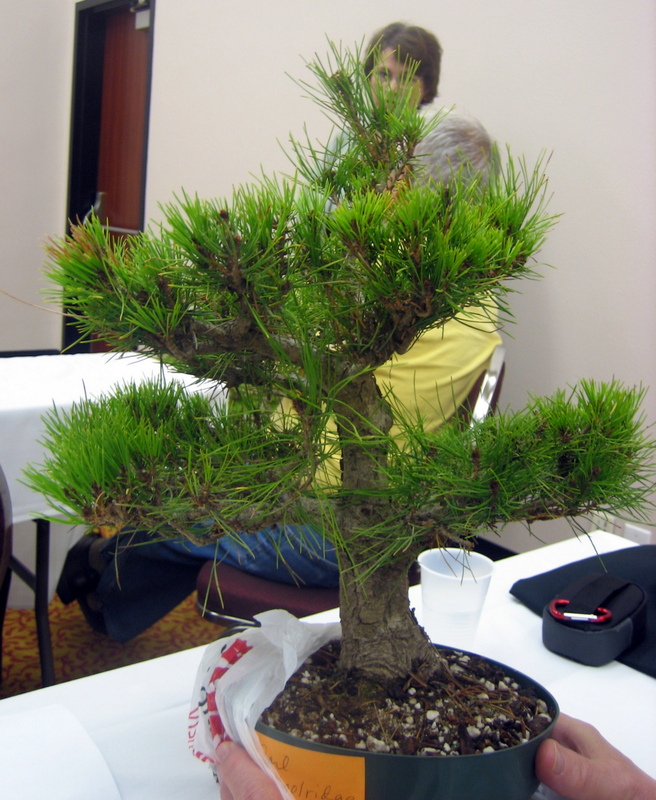 Appropriately, we are also showing two bonsai that were donated by Bob to start the Bonsai Court in the Japanese Garden. 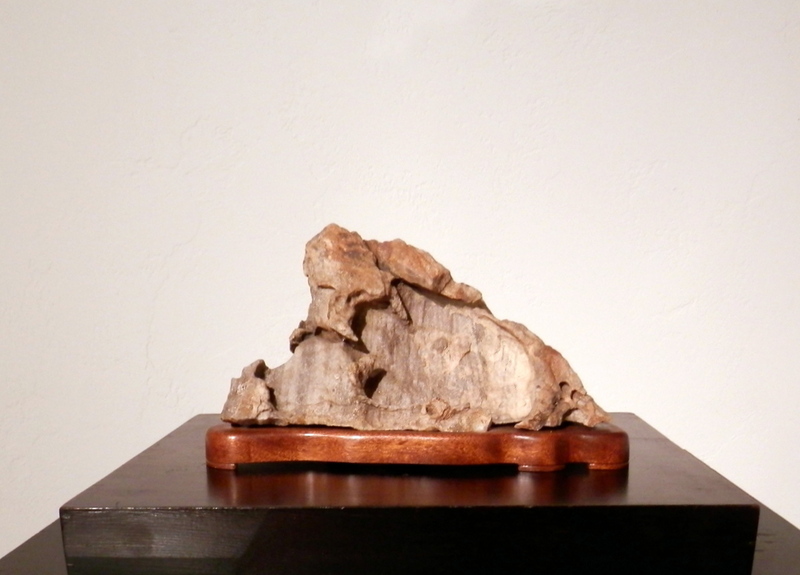 Tiger Stone- This is by far one of Bob’s best known stones. This bamboo stand was built by Bob Watson sometime in the 70s. Glacier Stone, Hyoga-ishi, British Columbia.This distant mountain stone is the best example of Bob’s ‘suiseki’ style stones. Indian Blanket Stones, Saddle Peak Hills, California. (Note that this area is now closed to collecting). Garnet Hill, Palms Springs, Riverside County (Discovered as early as 1964) The first productive desert site, Garnet Hill was long known by geologists as a source for ventifacts created by the strong winds whipping down the Coachella Valley. Unlike most desert sites, this site has considerable granite and a signature composite of fossilized oyster shell and limestone. 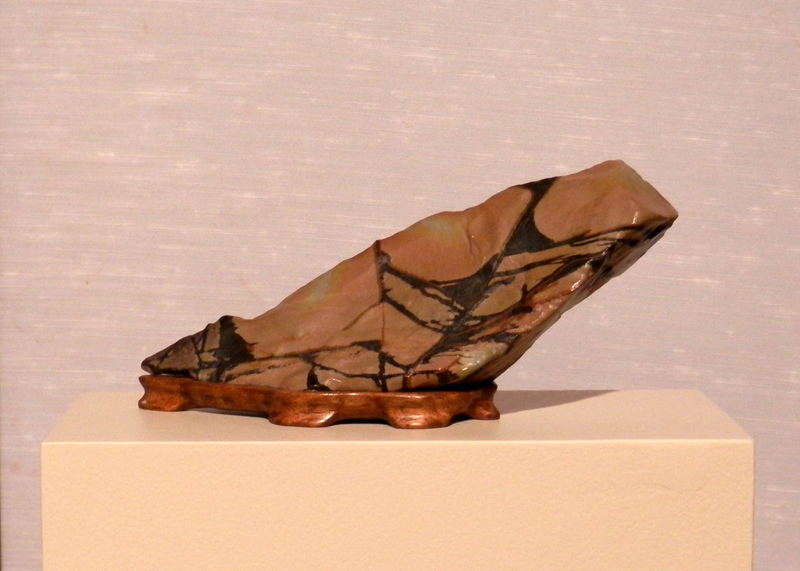 Tea Cady, Object Stone, Keisho-seki, British Columbia. Served in the U.S. Navy during World War II and was stationed in Japan after the War. 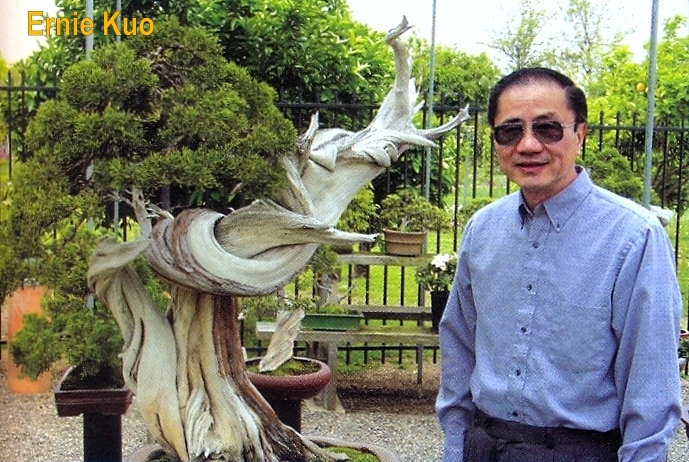 1964- Became a full-time gardener at the Huntington Library. Reportedly began exploring his local deserts in search of stones suitable for suiseki. Discovered the Garnet Hill site outside of Palm Springs. 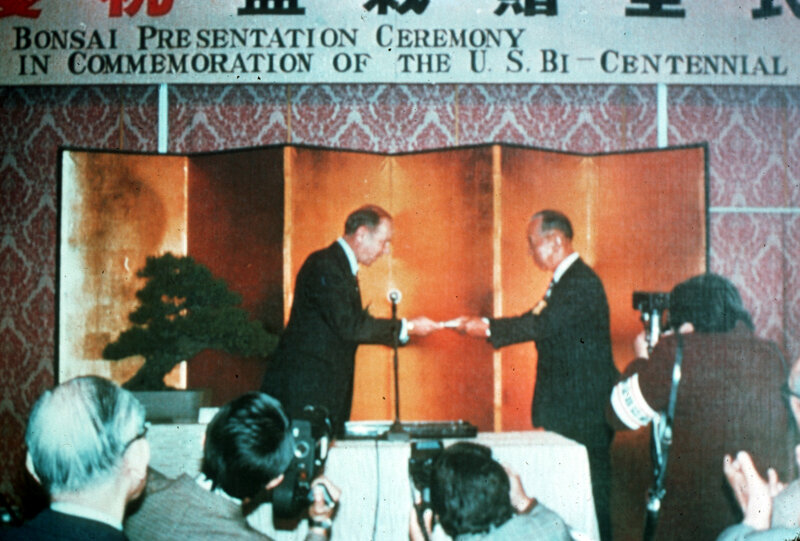 1968-Opening of the Huntington Zen Garden and Bonsai Court designed by Bob. 1969 or 70- Trip to Japan where he purchased suiseki for his personal collection. Unfortunately these stones have been dispersed. 1971- Met Cliff Johnson at the Santa Anita Bonsai Club and invited him home to see stones. First collecting trip with Cliff Johnson to Garnett Hill near Palm Springs. Round Lake Hill site with direction from Bob Sharp, geologist at Cal Tech. 1972-In an article , Bonsai Had Interesting Beginning, he noted suiseki are on display in the Huntington bonsai court.-Star News. 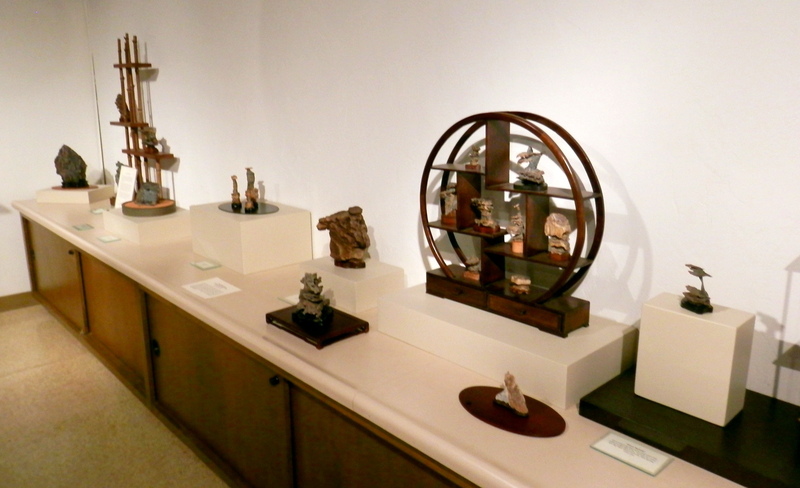 1973- Los Angeles Meiseki Exhibition, Los Angeles Museum of Natural History: the first significant suiseki exhibition in the United States. 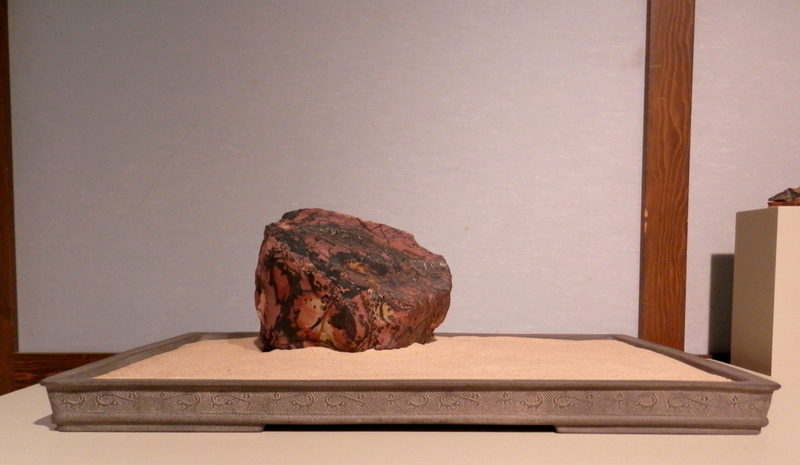 1978- Bonsai- Magazine of Bonsai, Japanese Gardens, Saikei & Suiseki: photo of Tiger Stone mislabeled as from California. (Bonsai Vol. xvii, No. 5). 1977-80- Los Angeles County Arbretum Suiseki Exhibit. 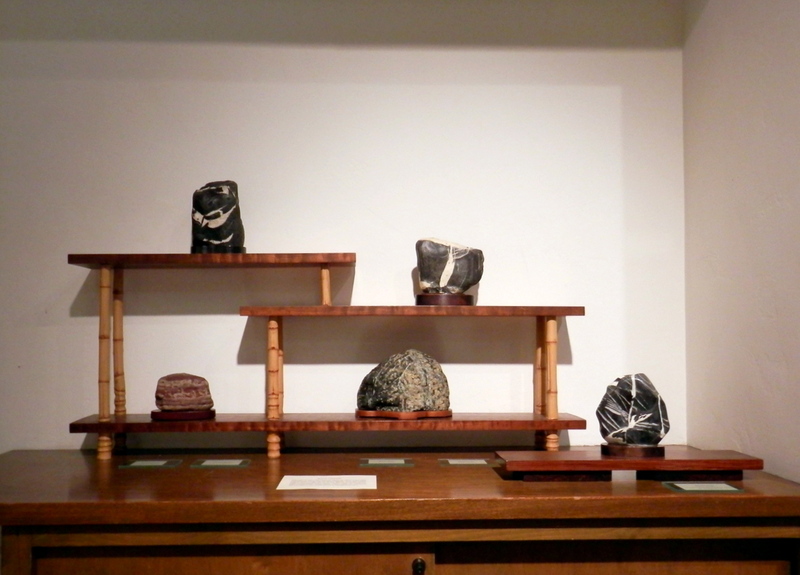 Display done with Cliff Johnson and included Japanese antiques and furniture. Lecture “Suiseki” Robert Watson, Head Gardener, Japanese Garden (March 18, 1980). 1983-84- Attended first formative meeting of California Aiseki Kai, but did not continue participation with the club. 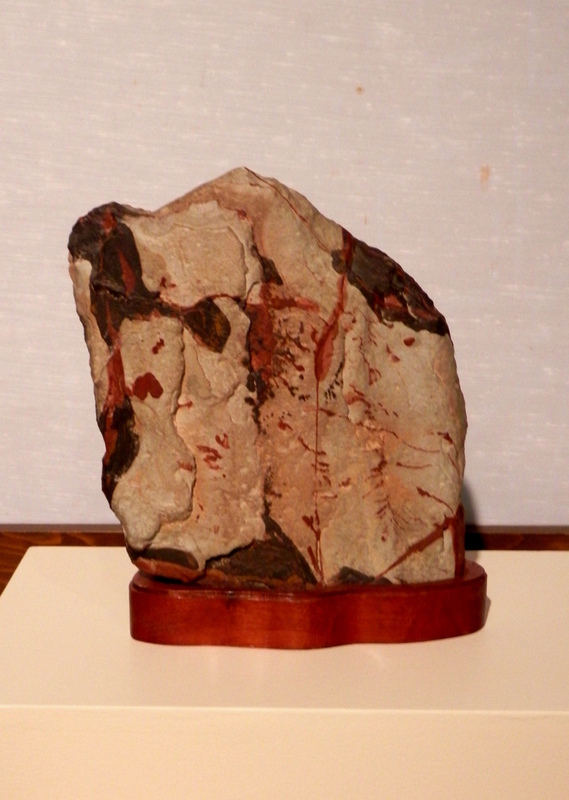 1984- Publication of The Jpanese Art of Stone Appreciation, the first and still the most important book on suiseki in English: photos of Bob’s stones including the Glacier Stone, Tiger-stripe Stone, Garnet Hill Mountain and large Butte. 1986- Bob Watson retired from Huntington Library. Pacific Asia Museum Exhibition with Cliff Johnson (date uncertain). 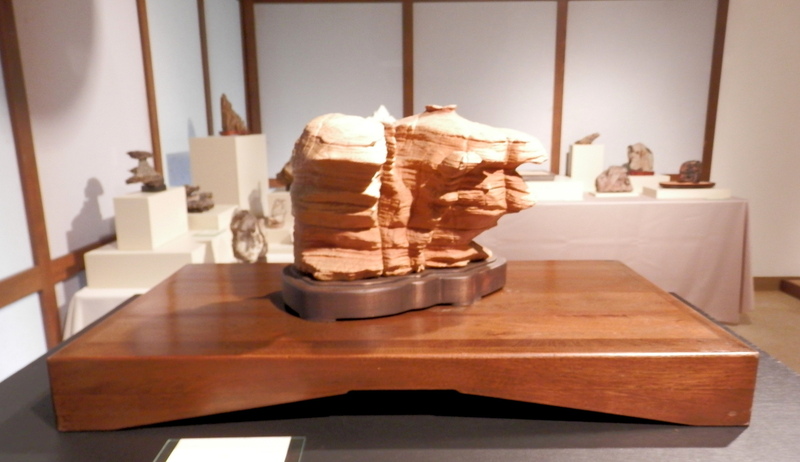 January,1991- First Annual California Aiseki Kai Suiseki and Viewing Stone Exhibition at the Huntington Library-A special selection of 7 Watson desert stones honored Bob. 1991- Robert T. Watson died. Earlier this week a very jolly individual with twinkling eyes and a white beard arrived at the Museum. 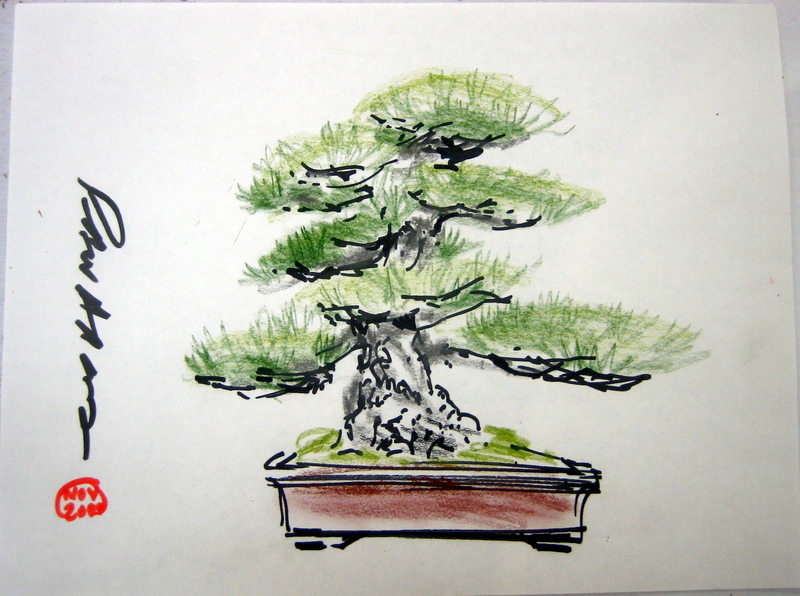 He had traveled a long distant in a short period of time in order to deliver some very special presents to the Bonsai Museum. Gary Wood, (seen here) a bonsai teacher from Muscle Shoals, Alabama had driven from Southern California to D.C. in 3 days with two very famous bonsai recently donated by bonsai artist Ernie Kuo. 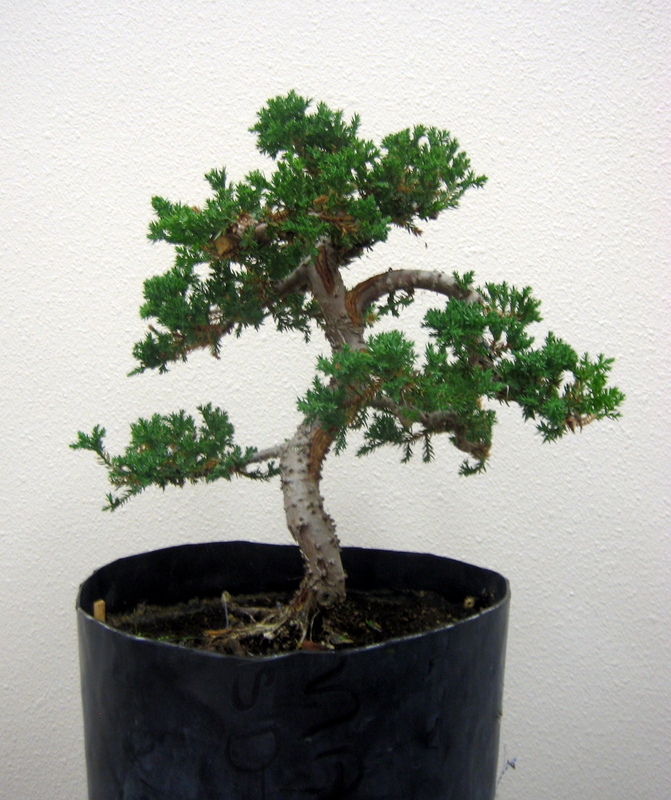 For more examples of Ernie’s tree see Bonsai Bark’s Gallery. Sincerer thanks to Ernie for his amazing gift, to Gary Wood for driving them out here, the National Bonsai Foundation for funding the transportation, and Wayne Schoech, Bonsai Bark/Stone Lantern, for permission to re-post Ernie’s article. Please subscribe to this blog in order to receive updates of new posts, to support the N.B.P.M., and to help me know how many people are reading. Thanks! Dr. John Creech (1920-2009), former Director of the National Arboretum, was perhaps the most instrumental person in the creation of The National Bonsai and Penjing Museum. 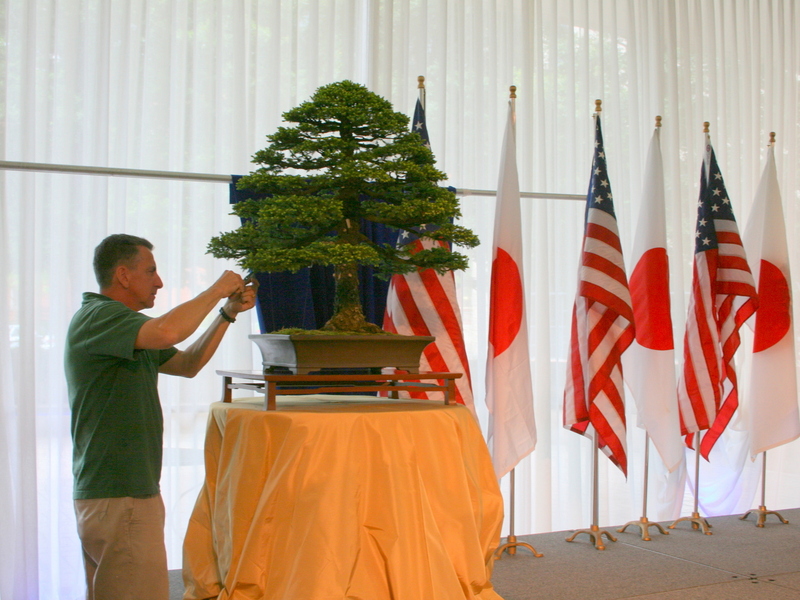 The process of orchestrating the transfer of 53 bonsai between two governments half a world apart was now small feat. The Bonsai Saga: How the Bicentennial Collection Came to America was written by Dr. Creech in 2001 and published by the National Bonsai Foundation. In it Dr. Creech outlines his part in the process and the various events that transpired from the gifts conception in 1973 to its final realization on July 9th 1976. A pdf. 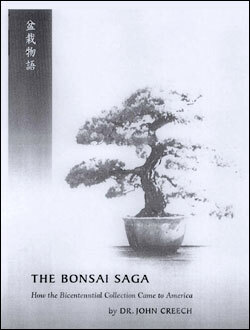 of the Bonsai Saga is available on the NBF’s website or can be freely download here. 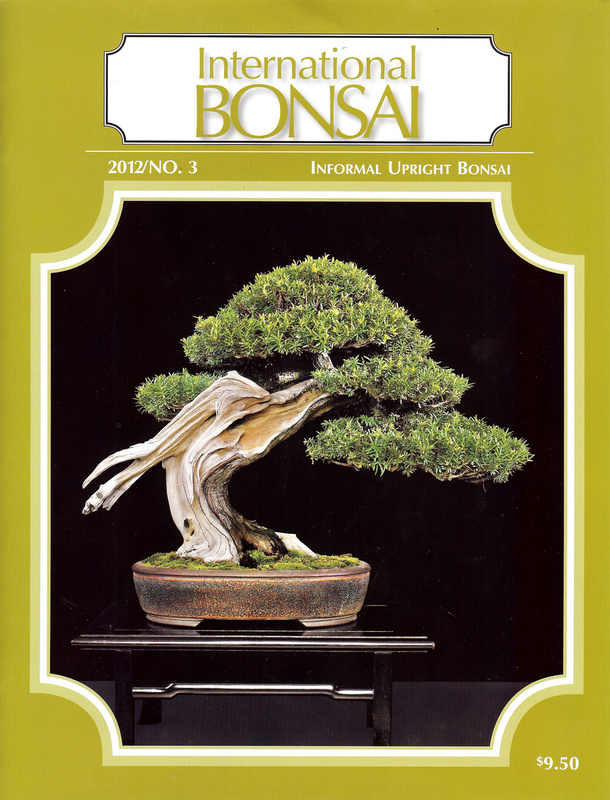 The newest edition of Bill Valavanis’ International Bonsai Magazine features my first article in a new series “Bonsai from the National Bonsai & Penjing Museum”. 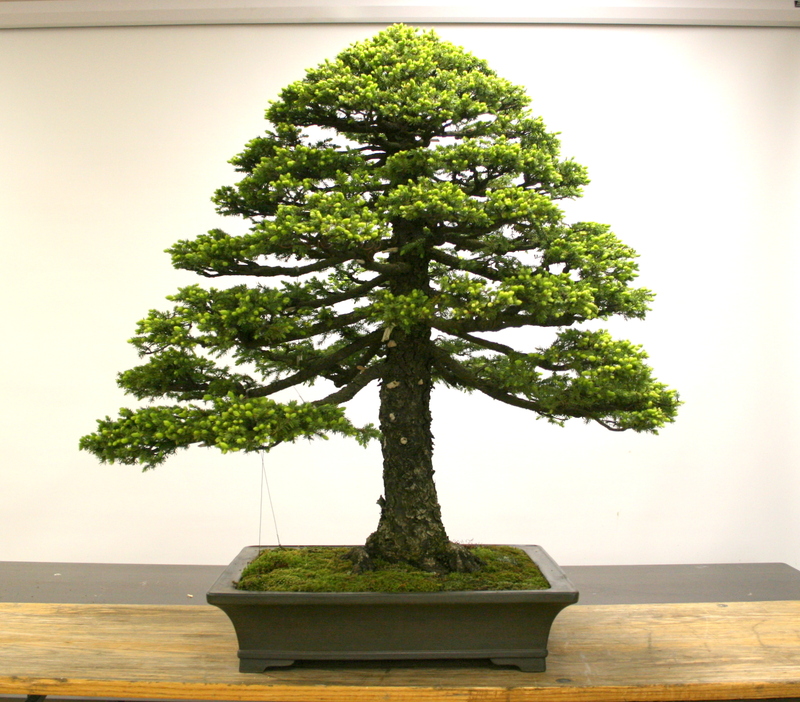 This series will focus on the unique stories surrounding many of the historically significant bonsai in the Museum’s collection. This inaugural article titled The Princess & The Tree features a Japanese Hemlock that was donated by the Princess Chichibu of Japan. 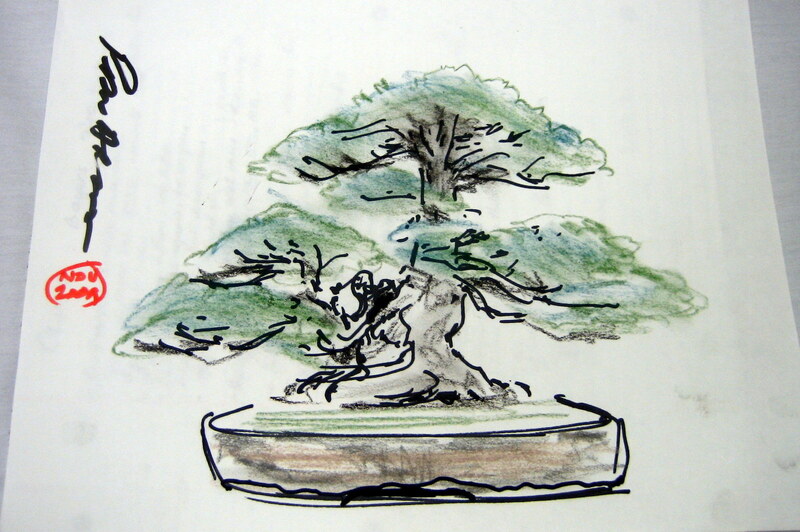 Be sure to look for upcoming articles about the Museum’s important bonsai. Trees have played a unique role in the relationship between the U.S. and Japan. The first major gift came in 1912 and consisted of 3000 Japanese cherry trees. 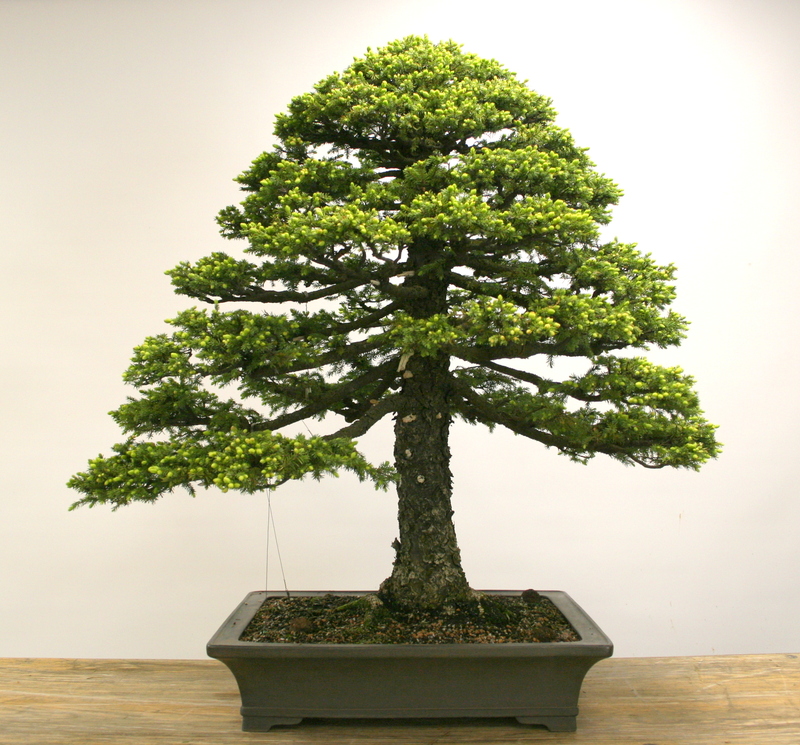 The second major gift of Japanese trees were the 53 bonsai given in 1976. 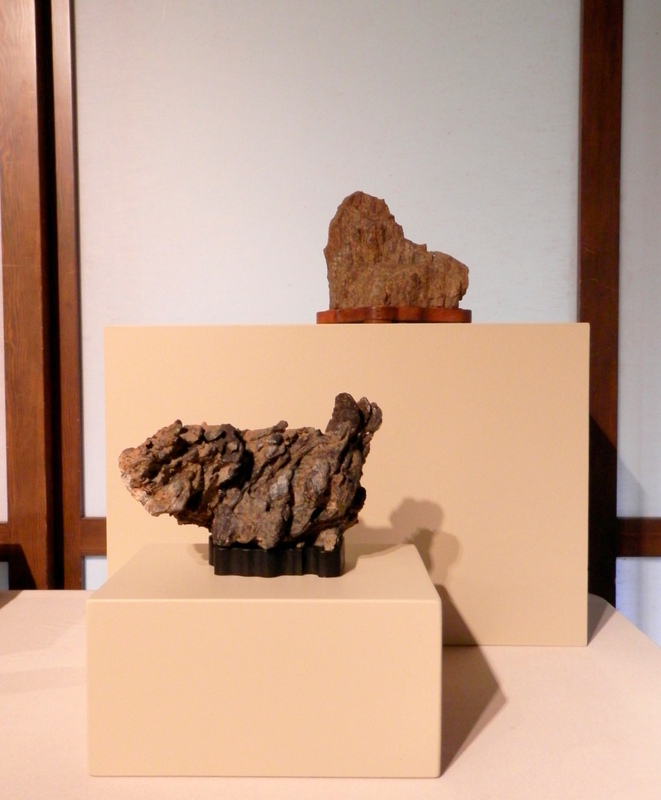 Since then additional bonsai have been exchanged between the two countries. 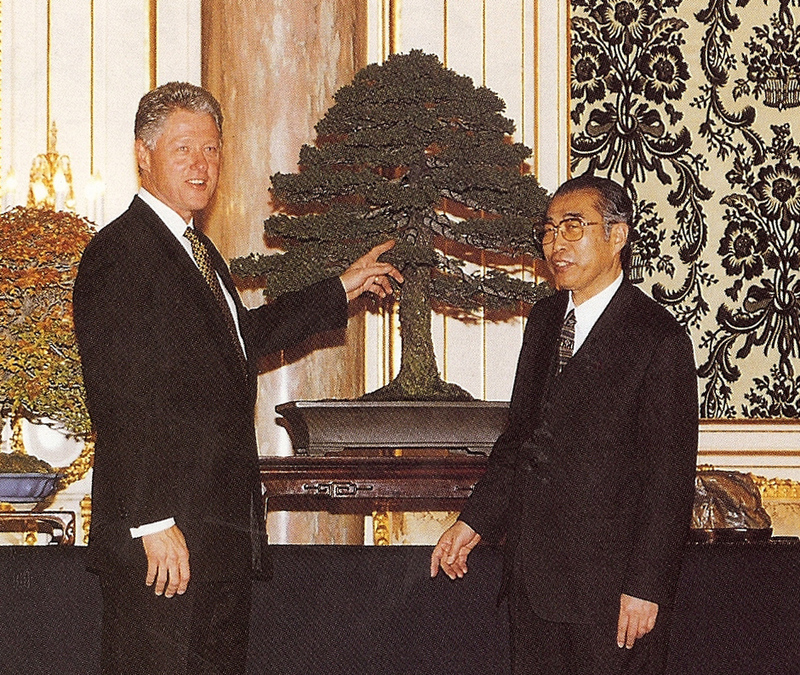 In 1998 Japanese Prime Minster Keizo Obuchi gave President Clinton two bonsai, an Ezo Spruce and a Trident Maple, upon his visit to Japan. 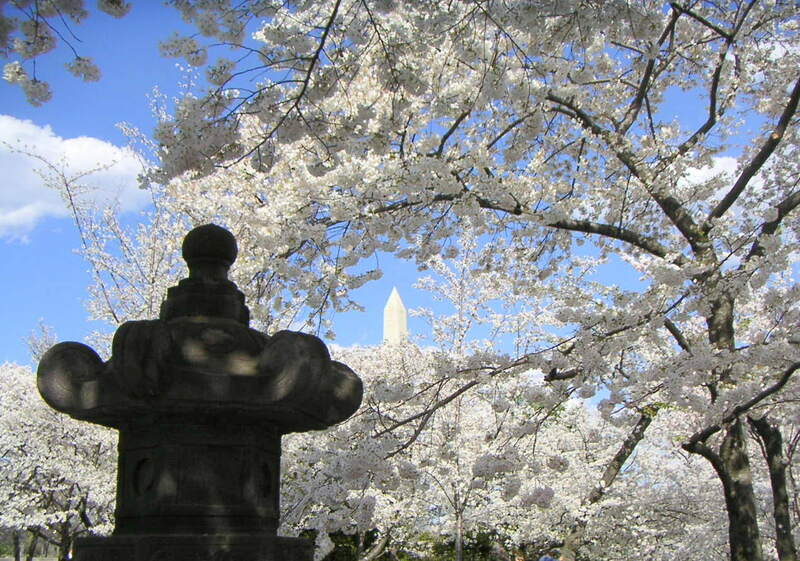 2012 marks the 100th anniversary of the cherry trees arriving in DC making this years blossom’s particularly special. 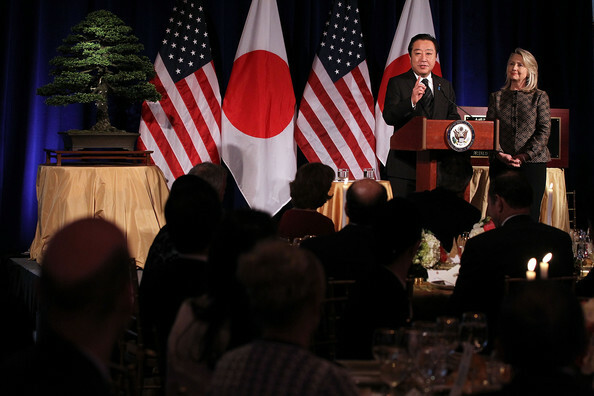 At a special event for Japanese Prime Minister Yoshihiko Noda, Secretary of State Hilary Clinton announced that 3000 American dogwoods are being sent to Japan to mark this anniversary. Richard Olsen, a plant geneticist at the National Arboretum, was interviewed on NPR concerning his role in bringing the trees to Japan. Richard was not the only Arboretum staff tapped by the state department. Jack and I had to get the Clinton Ezo ready for its appearance at the dinner. In order to get the tree ready we needed to pluck some of the longer buds, wire a few branches, apply moss and clean the pot. The changes are subtle which is the idea when getting a tree ready for show. You don’t want to show a tree that looks like its had a lot of work done on it recently. Jack putting on the final touches. I’m not sure if those in attendance realized the significance of the bonsai that was sharing the stage with these two dignitaries. 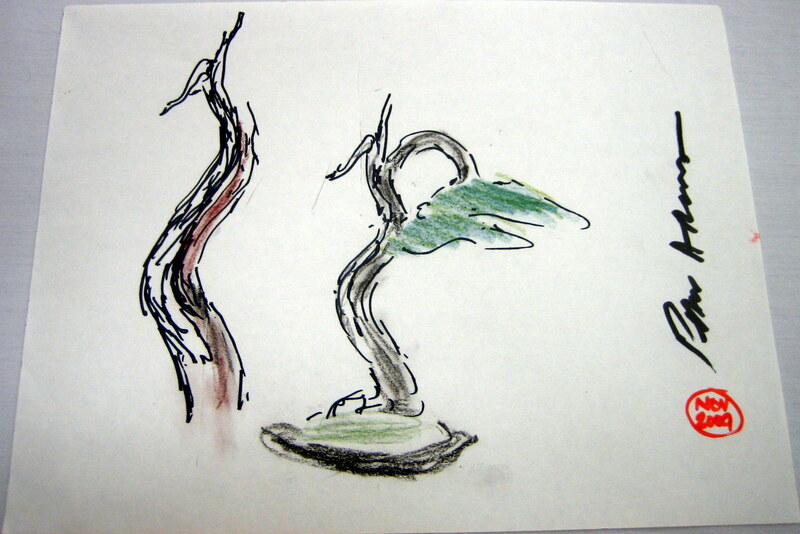 While Secretary Clinton and Prime Minister Noda represented their countries, the Spruce represented the relationship between these two nations. 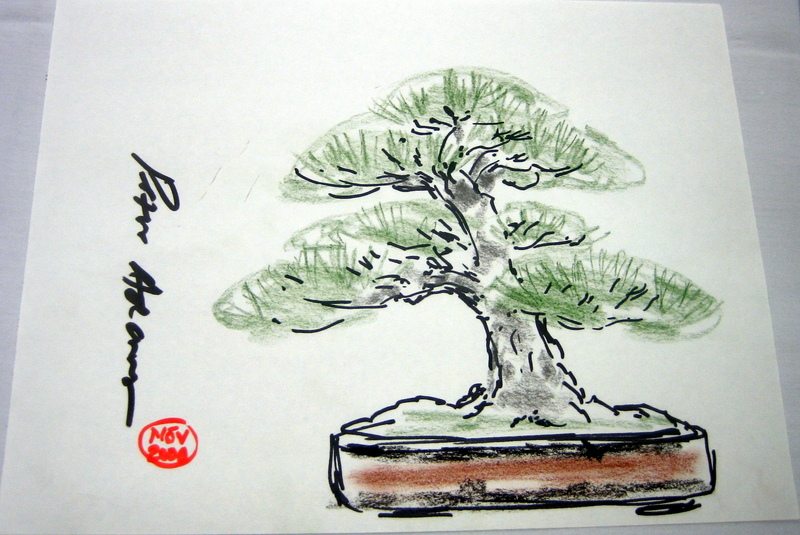 Just as a bonsai is a small representation of something very big. 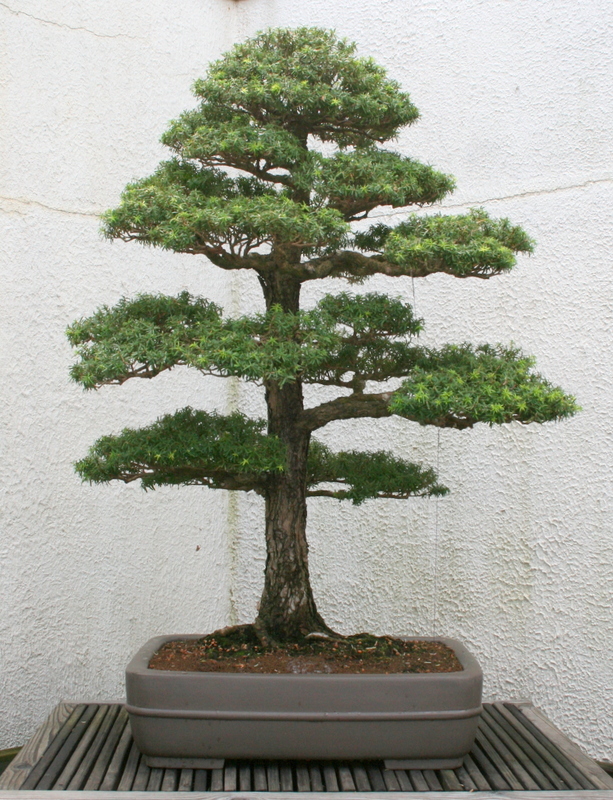 This bonsai was the ambassador for all the gifted trees, from the cherries surrounding the Tidal Basin to the dogwoods making their way across a much larger body of water. Please subscribe to this blog in order to receive updates of new posts and to help me know how many people are reading. Thanks!